This project explores the occupied state of Hawai‘i; its political past and history of organized resistance. 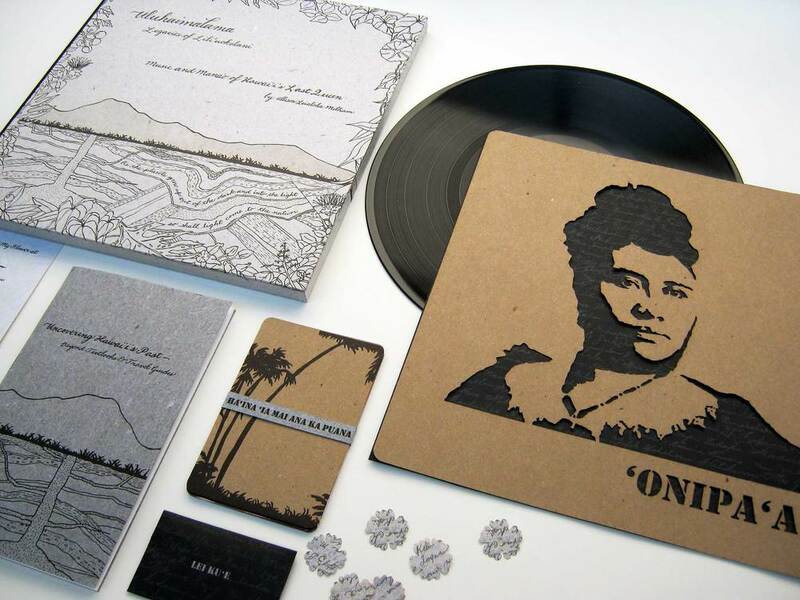 Milham combines her music with a detailed portrayal of Hawai‘i’s story contained within the accompanying album artwork and packaging. The content plays out in an interactive uncovering; an intense discovery of successive layers to be sifted through, understood and felt. Postcards, 12” laser cut stencil, booklet and other items of ephemera become tools, allowing the viewer to turn their newly acquired knowledge into action. Beyond its educational goals, the work endeavors to highlight the importance of understanding and connecting to our past, so we may move into the future with awareness and compassion. Letterpress printed from photo-polymer plates and wood blocks on handmade cotton/abaca and French papers. 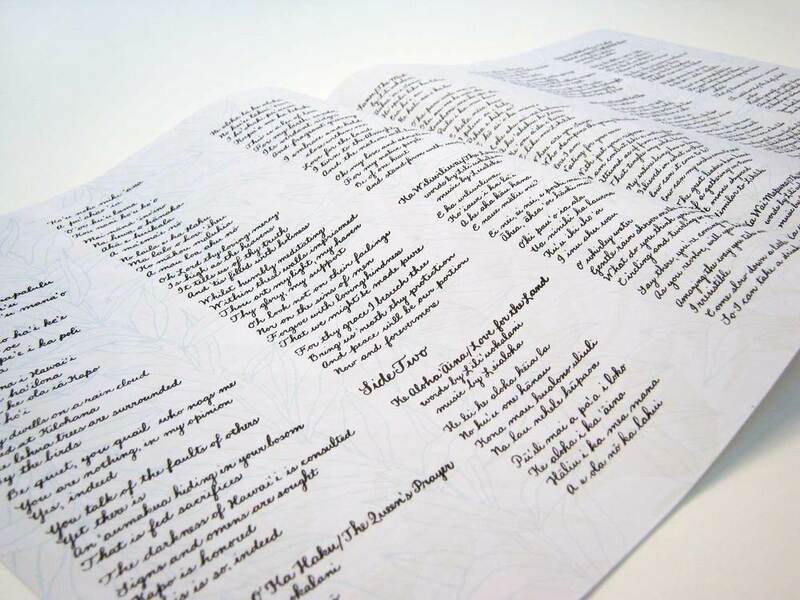 Custom, partitioned clamshell box houses record, lyric sheet, stencil, postcards, lei kit and pamphlet. 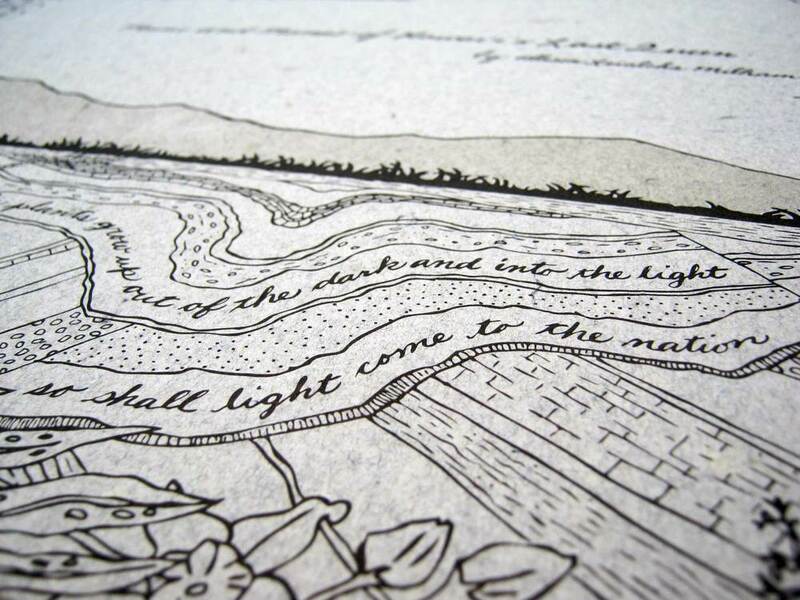 The first 10 copies of the edition are deluxe and feature embossed leather spine and all handmade paper booklet. All items exist and are available in varying and open editions.